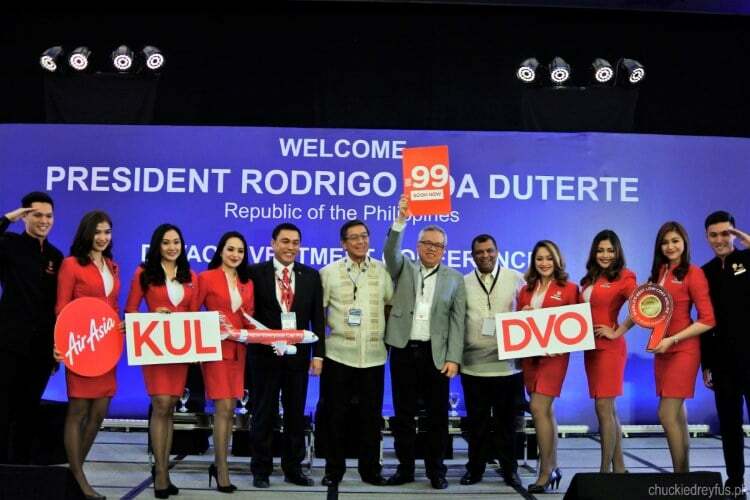 AirAsia announces Davao-Kuala Lumpur direct flights with all-in fares from P99! - All Chucked Up! 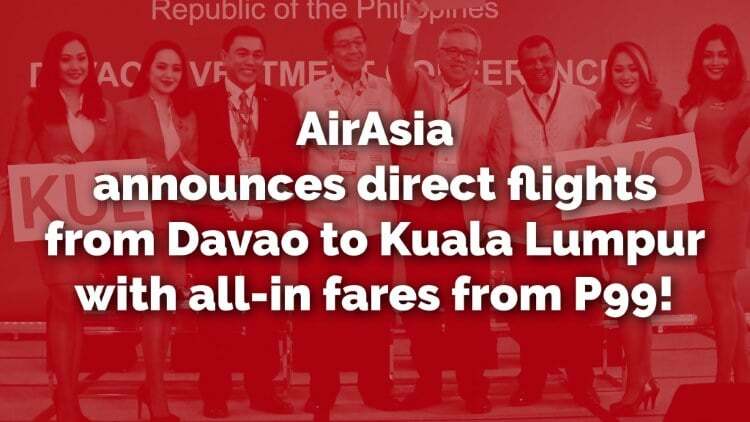 You are Here >> Home >> News >> AirAsia announces Davao-Kuala Lumpur direct flights with all-in fares from P99! Fernandes also said that today marks the start of the next phase of AirAsia’s commitment to Davao. They believe Davao has the potential to be the international gateway for Asean to the southern Philippines, beginning with this new route to Kuala Lumpur. He shares that they strongly support the development of cities outside Metro Manila, and are confident that by increasing connectivity and accessibility to affordable air travel, AirAsia can help play a role in boosting economic growth in the south. 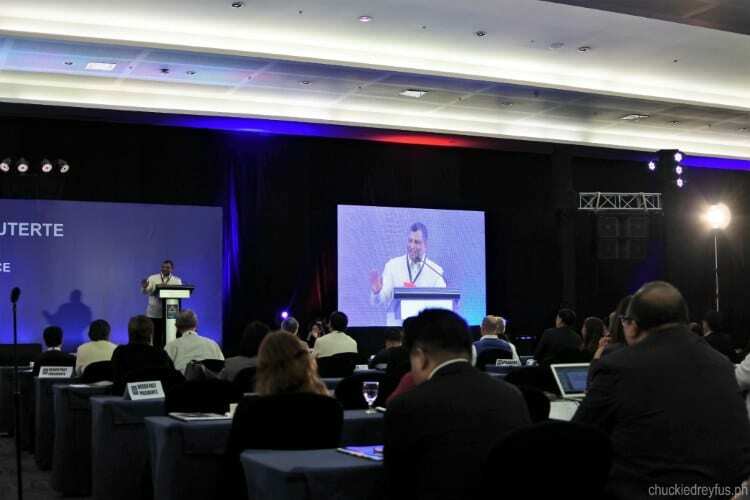 “We can’t do it alone and we need airports to share in the responsibility, but together we can make His Excellency President Duterte’s vision of a more prosperous Philippines come true”, Fernandes adds. AirAsia all-in fares as low as P99! To celebrate the new route, AirAsia’s all-in-fares from as low as Php99* one-way are available for booking from July 21, 2017 until July 30, 2017 for the travel period from December 21, 2017 to August 28, 2018. Visit airasia.com or use the AirAsia mobile app on the iPhone or Android devices to enjoy the special promotional fares. Also, AirAsia Philippines (flight code Z2) currently operates several flights from Davao to Manila, Clark, Cebu, Palawan and Boracay. I’ve been to Malaysia countless times already and I never grow tired of the place. Kuala Lumpur or “KL” is the perfect representation of the harmoniously multi-racial Malaysia. From its humble beginnings of a tin mining city, the ‘muddy confluence’ has progressively transformed into one of the most developed capital cities of Southeast Asia. Kuala Lumpur’s world-famous landmark, the Petronas Twin Towers (KLCC), and the surrounding attractions that host cultural elements from the various ethnicities represented in Malaysia are some must-visit sites when visiting the capital city. Places to visit such as the 421m tall KL Tower, Central Market (Pasar Seni), Petaling Street, KLCC, Malaysia Tourism Centre and Bukit Bintang are all accessible from the free GoKL bus. A day trip to visit other nearby attractions such as Port Dickson, Genting Highlands, Cameron Highlands, Bukit Tinggi, Putrajaya, Batu Caves, and Sunway Lagoon are also ideal from the city centre. Guests who wish to explore more of Malaysia can also take advantage of AirAsia’s domestic network to the idyllic resort island Langkawi; or fly further to the tip of Borneo Island Kota Kinabalu to marvel at Southeast Asia’s highest peak Mount Kinabalu, discover the mysterious Mulu Caves as well as dive into the world famous underwater world at Sipadan Island. Congratulations, AirAsia, for another awesome route that is sure to delight tourists and travelers alike! ‹ Php 50 tours in Asia?! Yes! It’s the KKday Best of Asia Campaign! › Go BIG with Globe at Home’s GoBIG plans and enjoy Disney/Pixar’s Cars 3 for free!